When charging into a bloody foray or landing a swift kick to the enemy, you depend on the strength of your lower limbs. 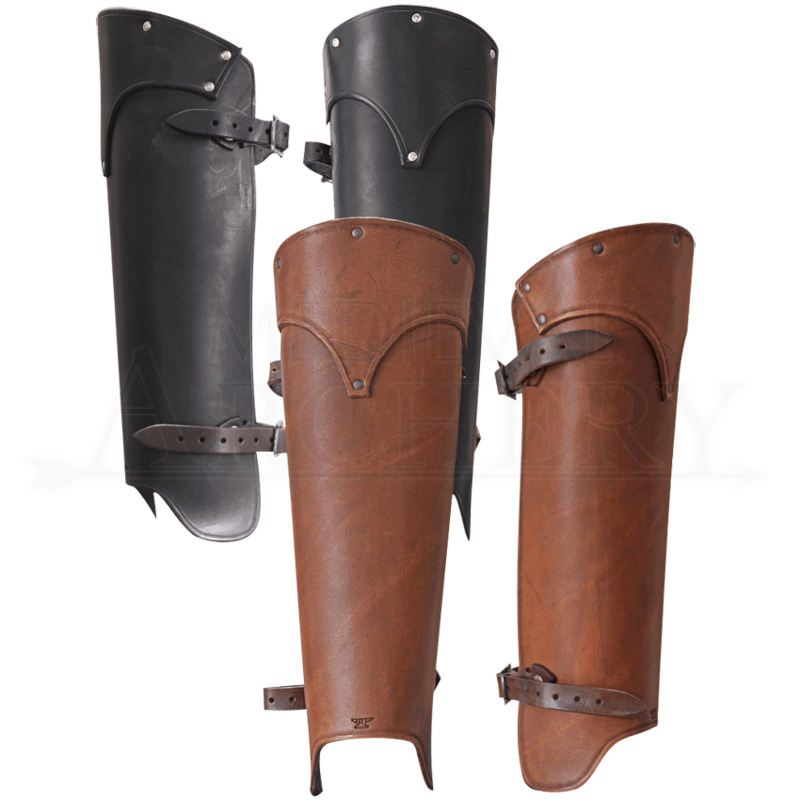 Properly defend them, rage into battle with your shins appropriately shielded by the Lion Leather Greaves. These shin guards were craft from durable leather to withstand LARP and training hits. Each greave is fashioned from two riveted leather segments. The rivets and detailed edging contribute to the traditional style of this medieval fantasy armour. Fit them securely and comfortably with the two adjustable straps on each greave. Complete your armor and match this pair with the Lion Leather Bracers.